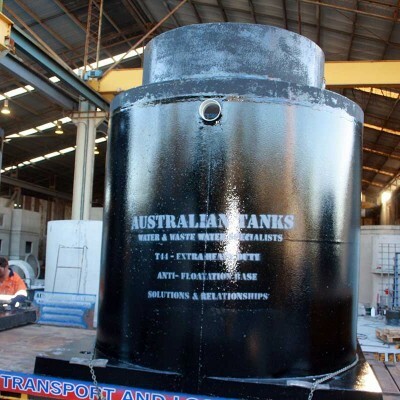 Australian Tanks Offer Precast Concrete Pump Stations That Offer Peace-of-Mind Installation. owners. 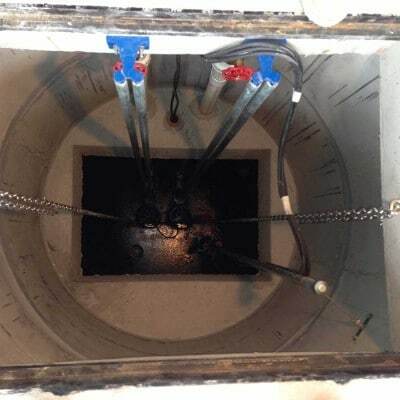 Callouts for blockages, fouled level control equipment, or frequent requirement for sucker trucks to remove sedimentation can be greatly reduced with the use of a correctly sized wet well - potentially saving end users 1000’s of dollars annually. ​​Fluid velocities and turbulence to re-suspend sealed solids with every pump cycle, allowing them to be pumped away. Less sedimentation removal by sucker trucks required, providing savings in maintenance costs. ​​ Decreased sedimentation reduces septicity and odour issues. ​Decreased retention times of sewage and minimal ‘dead spots’ on the pump well base, reduces accumulation and clumping of solids. 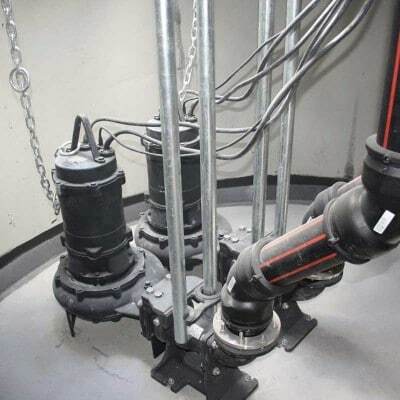 Reduced pump blockages decrease maintenance call-out costs associated with pump blockages, or float switches being fouled. 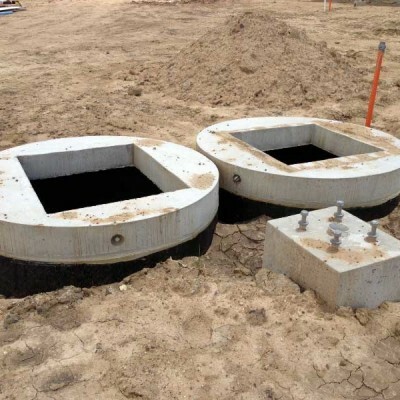 A correctly sized wet well can significantly reduce the total life cycle cost for a client. The 1500mm ID pit rings are joined in our factory, or on site with a water tight three-stage sealing protocol. The seal prevents water ingress, saving the pumps from running unnecessarily, thus saving power consumption. All Australian Tanks tanks and pump stations are anti-floatation by design. 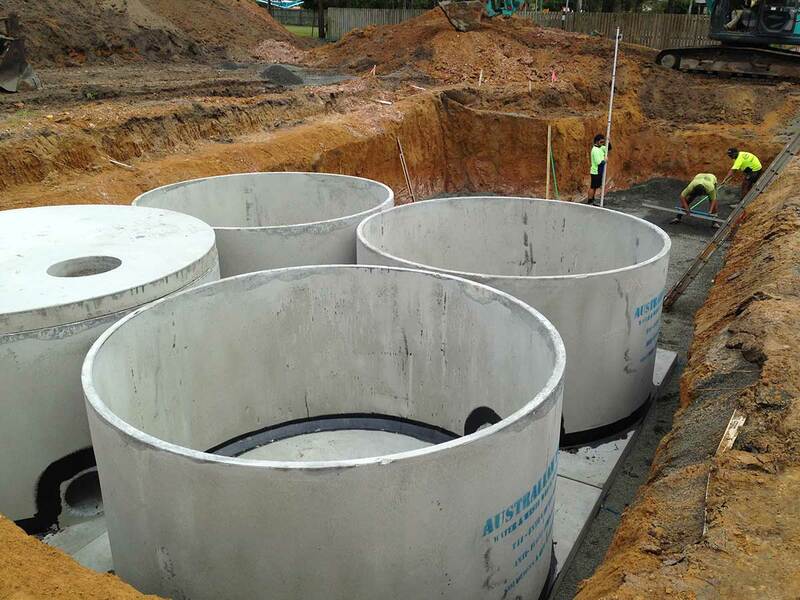 Once backfilled they can be installed in 100% saturation and will instil nil hydrostatic uplift to the slab above. 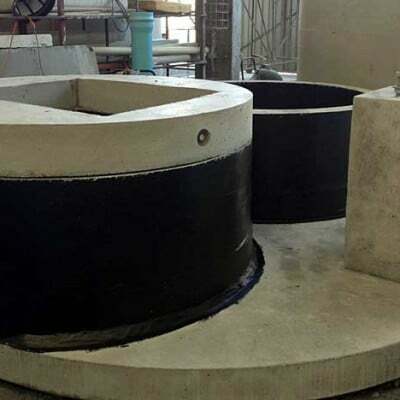 For installations where the water table can be above the height of the tank, such as a basement installation, tidal or flood prone locations, some of our tanks can have in excess 3.0m water cover and still resist the hydrostatic uplift, providing nil buoyancy. 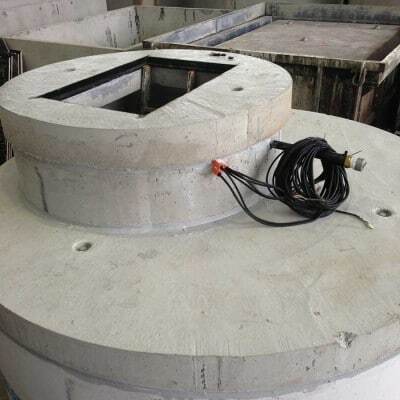 Once the tank is selected to be suitable for the water table, no estimation is required by installers for the ballasting required, and no separate project management of concrete trucks, or water trucks is required. 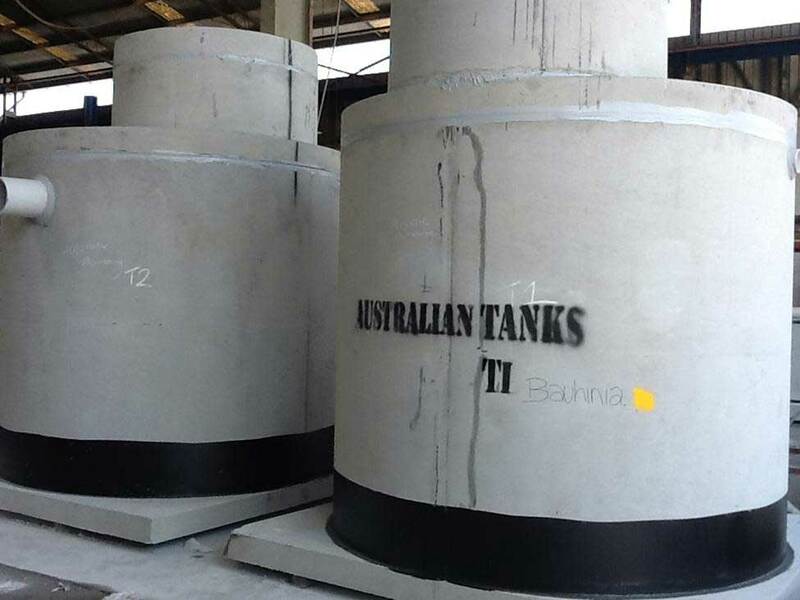 Due to the high compressive strength and durability requirements necessary for heavy duty construction, Australian Tanks uses 50Mpa strength concrete in all products manufactured. 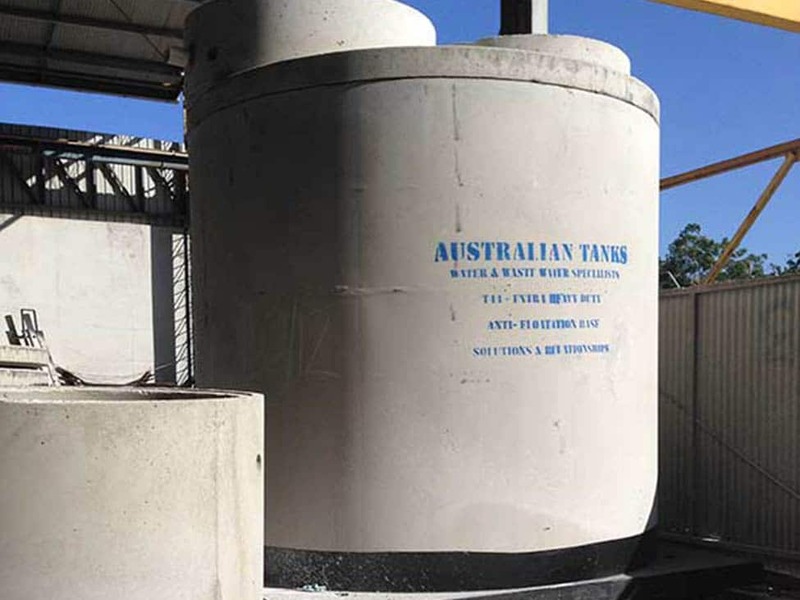 Australian Tanks products are rated with a B2 classification, in accordance with Australian Standards AS3735 (Concrete Structures for retaining liquids). All pump wells can be coated externally if there are acidic soils. 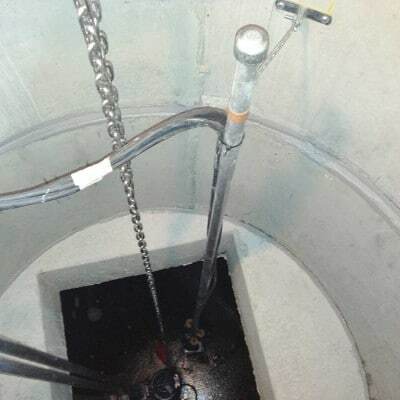 Sewer or Trade Waste pump stations can be epoxy coated. As a standard, Australian Tanks epoxy coat with Megapoxy MC, as per our council approved grease traps. Alternatively, we can coat the wet well with other engineer specified products such as; Nitocote (Internal), Oxydur (External), Polyurea, Crystaflex, Carboguard, and Phenolic. Australian Tanks are regularly requested to replace tanks,pump stations and civil products that have been driven over and damaged. 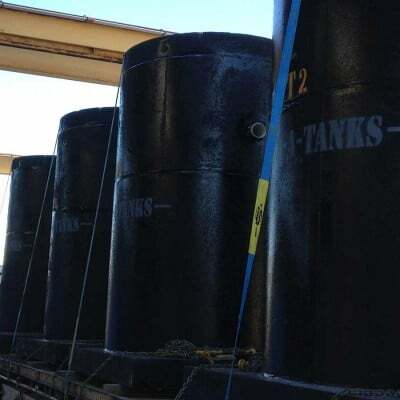 Many times these products have been installed in non-trafficable areas, such as parks and school ovals, but have been inadvertently driven over, only to find the tank has been unable to bear weight with the resulting damage requiring new tank installation. To avoid these damaging risks all Australian Tanks products are manufactured as Heavy Duty and rated for where the heaviest vehicle traffic will be a 4 axle twin steer truck (Max GVM 27.5t). Example: Garbage Truck.